Motorola’s new Moto G was the star of Tuesday’s event, it may not have the best specifications of the three phones that were introduced, but the two previous generations of Moto G have actually been best sellers for the company. This lineup has always included phones with good specifications at a very reasonable price, but they haven’t changed that much from previous generations to the newer ones. That tradition continues to the third generation, but the improvements, while subtle, make it a better phone than it ever was. For example, LTE had been available in the Moto G as a separate version that was introduced months after the original one, and even then, it wasn’t available everywhere. Now, the new phone includes LTE connectivity in every configuration as it is included in the Snapdragon 410 powering up this device. Another notable change for the series is that it can now be customized in Motorola’s Moto Maker, so users can now choose the color of the front of the device, the color of the back cover and the color of the metallic plate surrounding the camera. Finally, while the previous generation had a nano coating making it resistant to splashes, the company has upgraded the construction of the new device and it is now IPX7 certified, so it is waterproof. The IP Code usually has two numbers, the first one making reference to the dust protection and the second number makes reference to water resistance. The IPX7 of the new Moto G means that the phone may be immersed in up to 1 meter of water for 30 minutes, but it is not certified against dust particles going into the hardware. Most of the certified devices against water hold up in fresh water, so take that into account before experimenting on the beach. Now, a user has made a video testing this protection, first just taking it outside under the rain and throwing it in puddles while including some nice shots in slow-motion. As expected, the phone holds up well and it’s fully functional. Then, the user puts it in a bowl full of water for over 30 minutes with the screen on the whole time and the phone still works fine after that, even the speaker is still working after it gets dried. One thing to notice is that even the back cover seems to have been properly sealed, water still managed to get in there, but that didn’t affect the functionality of the phone. 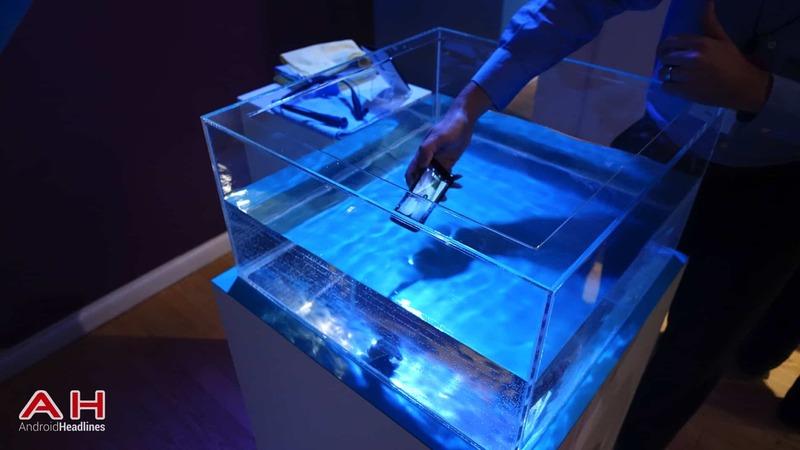 The post User Tests The Water Resistance Of The Moto G (2015) appeared first on AndroidHeadlines.com |.